Multiple use: perfect for coloring, illustrations, doodling, journaling, calligraphy and more, it is also an ideal gift for artists, pupils and even kids. 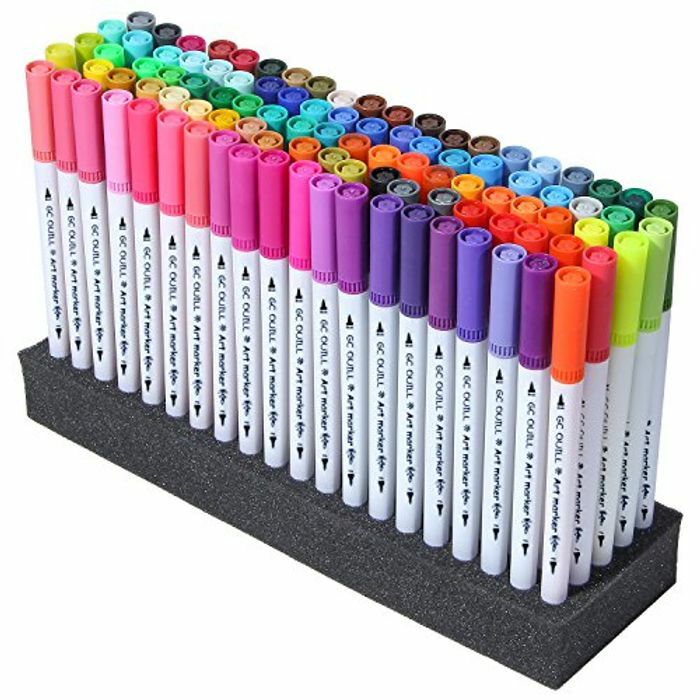 High quality dual-ended markers: 1-2mm brush tip for shading & coloring; 0.4mm fine tip for outlining, detail and also for taking notes. 100% safe: odorless and non-toxic, easy to wash off skin & clothes. I love to do adult colouring these pens will be great for it. Thank you pwclayton for sharing a great deal.